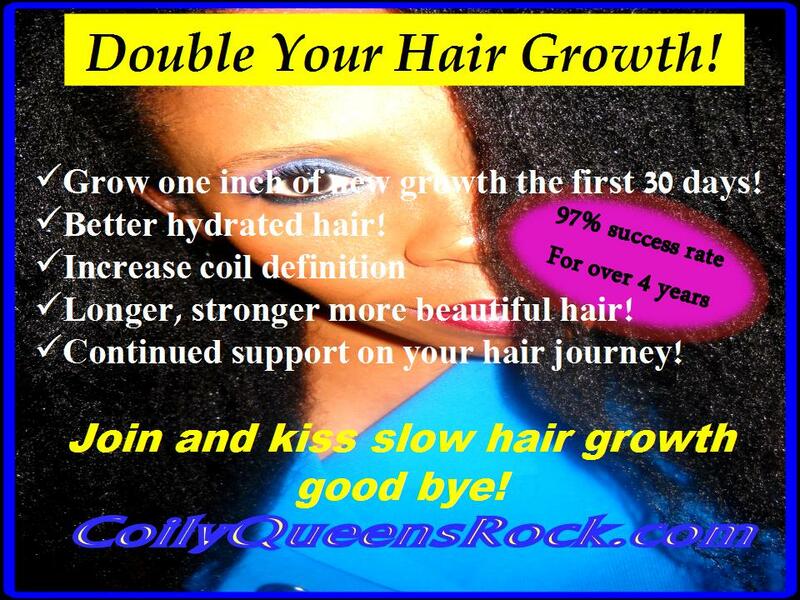 Welcome to the Coily Queens section on growing your hair longer and stronger. This website treats you to more than 30 articles on how you can grow your hair to waist length and beyond. It would be hard pressed to find such detailed information on techniques that actually work anywhere else on the web. That is a big claim right? Well I base this on what I have read. I believe after you read and put into practice the techniques that apply to your hair issue, that you will agree with my statement. 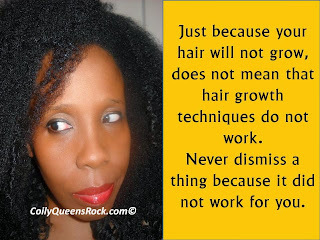 Yes, you will find articles on other sites, that promise to help you grow your hair, but when you actually read the articles, they are not saying much of anything. You were drawn in by catchy titles, that get you to click the link. Ladies no catchy titles here, just detailed information on how to grow your hair longer and stronger. You will be able to grow your hair without breaking your bank. For each method you are given detailed instructions and a supply list, and if you still do not understand you can leave a comment below the article and know that your question will be answered. This is awesome right? No worries about your questions being answered. For those who are dedicated and serious about growing your hair bra strap length and longer, please sign up for one on one hair growth coaching. Many times you need that extra personalized help and this is what you get. Before you sign up, be sure you are ready to be committed to growing your hair long. Be ready to stick with a regimen for 3 months or more. Be willing to make a hair lifestyle change for the better. You will receive a personalized regimen based on the information you give. Genetics will not stop you from growing your hair to long lengths. Yes you can have bra strap length or longer hair! Get more information here and sign up today. ONE ON ONE PERSONALIZED COACHING TO HELP YOU GROW THE HAIR YOU DESIRE. DOES YOUR HAIR GROWTH NEED A BOOST?? ?SIGN UP FOR THE BEST HAIR GROWTH CHALLENGE! 1. There is no product that will grow your hair nor a technique that will increase your hair growth. 2. Hair will grow if you just leave it alone. 3. What is all this obsession about growing longer hair just thrive for healthy hair forget about length. 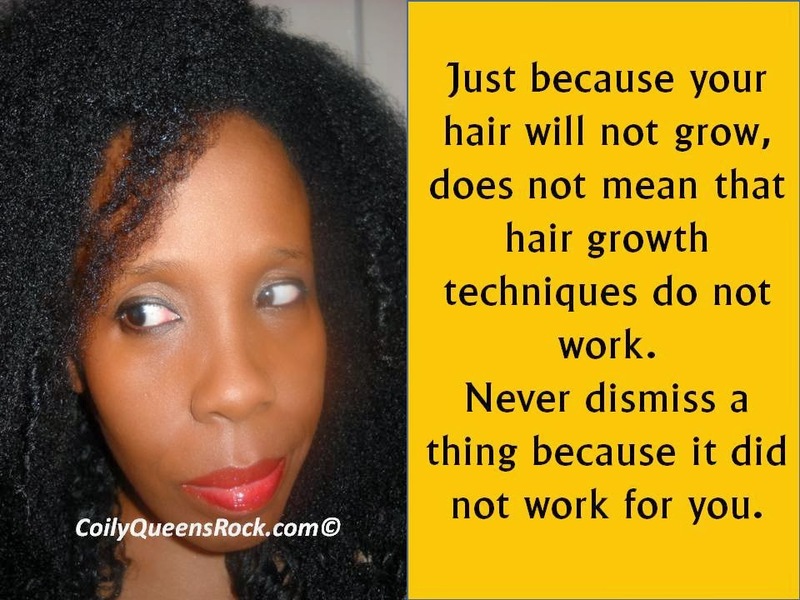 Not one of the above statements represent what I believe and know about haircare and growth. Let me address those 3 skeptic statements, before we go forward. 1. No product or technique can grow your hair. Not true, there are many products on the market which have been proven to grow and regrow hair. There are also natural oils that have been know to stimulate hair growth. An increase in physical activity can give your hair growth a boost, because your blood is circulated better. Techniques such as daily scalp massaging and other scalp stimulating techniques have also worked for many, at increasing their hair growth. There are different hair vitamins and supplements which double your hair growth rate. 2. Growth just happens, if you leave your hair alone. This statement is partly true, it is just not true for a large percentage of people, who have slow hair growth. The average rate of hair growth is .5' per month but for many women they may only average 1/8 to 1/4 inch per month. The women who are slow growers will only grow 2 to 3 inches of hair per year and they may only retain some of that growth. If your hair growth falls within the average of 1/2 inch per month then you will grow 6 inches of hair per year, with this rate of growth you can easily achieve your hair length goals and styles. However the woman who is a slow hair grower, it will take her double the amount of time to achieve, bra strap or waist length . So good growth does not simply happen when you leave your hair alone, for the slow grower they must do extra things to make it happen better. 3. People should not seek after long hair but healthy hair. Why obsess over long hair? There is nothing wrong or weird about desiring long hair, and common sense dictates that as your hair gets longer it will be healthier. Why? Because if you are using any of the CoilyQueens techniques to achieve your hair growth then your hair will automatically be healthy due to the CoilyQueens regimen. Achieving increase hair length using the CoilyQueens regimen will get your both longer hair and stronger hair. You cannot have one without the other with this regimen. Desiring long hair is not obsessing over long hair. The fact is long hair is pretty and the Word of God tells us that if a woman has long hair it is her crowning glory. So never allow anyone to make you feel guilty about wanting long hair. Since the beginning of time long hair has always been the symbol of femininity, so do not shy away from what you desire. Understand that some people do not believe that it is attainable for them so they rather believe that it is not possible than to suffer disappointment. But if you follow the Coily Queens regimen accurately and consistently you will see your hair grow to longer hair lengths. Do some people just have long hair due to family genetics? 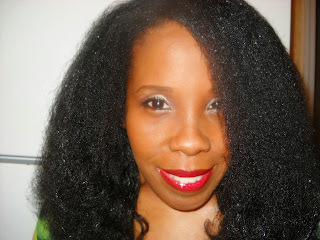 Find out what I think about "Genetics and Hair growth"right here. Now that I have addressed some of the skeptics and things you may have been thinking before you clicked this article, lets find out how to grow your hair to longer lengths. The Coily Queens, guide to growing your hair longer and stronger, for all hair types. Anyone can use this regimen it does not matter your curl pattern, hair type, relaxed, transitioning or natural. What matters is your ability to focus on one regimen and be consistent, with a side of patience. The hair growth methods shared on this site do not regrow hair, meaning if your hair loss is because your hair follicles have closed and the edges or areas are bald, and have been that way for a year or more then most likely the methods shared here will not work for you. These methods are for those whose hair grows slow, so if you already experience 1/2 inch or more hair growth per month, these methods may or may not increase your already normal hair growth. This regimen will help your thinning areas as long as the follicle is not closed. Is fungus slowing your hair growth or the cause of your hair loss? The key to increasing your hair growth is to use products or techniques which help the root cause of your slow hair growth. So first you must figure out why your hair is growing slow, why your hair growth is below the average. One common cause of slow hair growth is fungus growth on the scalp. Fungus activity sounds nasty but it is very common and a leading cause of hair loss and slow hair growth. Many times fungus activity produces a itchy scalp and the person creates a bald spot or problem area, because they have repeatedly scratched their scalps in that area until it has damaged the hair follicle, so the hair never fully grows to its fully potential. Fungus also create an environment on the scalp that retards your hair growth, so the person may have the ability to grow 1/2 inch or more per month but the presence of the fungus is interfering with hair growth. To learn more about fungus activity and how to eliminate it read, "Your scalp and fungus". Is poor diet and vitamin deficiency your problem? For some people they have a deficiency in vitamin B or D and do not even realize it, and a deficiency in either of these vitamins can greatly affect your hair growth. There are several other vitamin deficiencies that can affect the over all health of your hair, the only way to know is to see your doctor for blood tests. If your hair grows slow and you are taking good care of it, then adding a hair skin and nail vitamin supplement to your diet is not a bad ideal. There are many different types of vitamins on the market in all price points, invest in one that is highly absorbent so your body benefits from the supplement. Liquid vitamins or capsules are your best buy. Learn how to get your hair vitamins to work for you. Find out how I doubled my hair growth with this liquid vitamin. Washing your hair once a month or once every two weeks is so 1980's, hair grows best on a clean scalp. The same way you keep your body clean you must keep your scalp clean, no exceptions. The Coily Queens regimen requires you to shampoo your hair twice a week, leaving 3 days between each shampoo. This is recommended to increase your hair growth and to hydrate your hair, so it styles better. Yes, many black women grew up with only getting our hair shampoo and deep conditioned every two weeks, but now that we understand our hair better it is time to do better. You must change your relationship with water, it must be about haircare and not maintaining a hairstyle for a longer period. Find the entire Coily Queens hair care regimen here and get started today, growing your hair to waist length. Your hair may be growing at a normal rate but you are not retaining the length. How do you know for sure your are a slow hair grower or normal? Most people have an ideal based on their hair length as they were growing up, but a good way to know for sure is to keep a hair journal and measure your hair growth over a period of 6 months to a year, then take your average and see if it lines up with the normal rate of 1/2 inch per month. How much of your hair growth your retains depends on a number of factors the main one is how you wear your hair on a daily basis. Do you consistently comb or brush your hair? Do you wear your hair free flowing the majority of the time? Do you pull your hair tightly into ponytails or extension styles? Do you use bad hair tools which pull your hair out? A good way to know is to pay attention to what hair comes out in your hair tool when you remove it. Hair types are either fine, normal or thick. Those who have fine or normal strands must be extra careful not to break their hair fibers. Your goals is to preserve each hair fiber for as long as possible. Those ladies with fine, fragile or tightly coily hair require extra protection in order to retain length and grow their hair long and healthy. Here are some great tips to help you grow your fine, fragile tightly coily hair to waist length and beyond. It is possible! Fragile hair is a huge cause of low length retention. You could be growing six inches per year but only retaining 2 inches per year, because your fragile hair is breaking when you style it. The goal is to first repair the fragile hair strands. If your hair is relaxed your protein bonds are broken down and you should treat your hair as damaged hair. I know it may look good but the relaxer chemical must destroy some of your protein bonds in order to straighten Afro hair. The protein which was destroyed cannot be replaced but it can be strengthened by giving your strands a hard protein treatment such as the aphogee 2 step treatment. Hard protein treatments are recommended for those with fine strands and those whose protein bonds have been weakened either from improper diet or a underlying health issue. Lost protein cannot be replaced permanently however it can temporarily be repaired and must be done again in several weeks. For a better understanding on what a hard protein treatment does and who needs them please read here. You are not retaining length because you have split damaged ends. Some black women have a hard time cutting their hair, so they hold onto damaged split ends which greatly interferes in their length retention. Because the ends need trimmed when they comb the hair it breaks. Maintaining a regular trim regimen will easily take care of this problem. Please stop holding onto hair that is damaged and doing you no good, that little length will not matter, it will probably not even be noticeable to anyone but you. Once your hair is healthy, you should trim it once every 4 months cutting at least 1/2 inch or more depending on what is needed. This equals to 3 trims per year and not even a full inch cut in a year, now surely you can work with that? Find out the best time to cut your hair. There are numerous health issues that can get in the way of your hair growth. Some aliments cause hair loss and others just retard your hair growth. Health issues such as: diabetes, blood pressure issues, thyroid problems and circulation issues are some of the common ones. When the health issue does not interfere with your hair growth, sometimes the medication prescribed to treat your condition does. Being inactive and taking pain medication a lot greatly retards your hair growth rate. Be safe and talk to your doctor first before taking any supplement or adopting a program. In these cases it is all about improving your overall blood flow. Better blood flow leads to increased hair growth when paired with a healthy balance diet. Hi How do I sign up for the Hair coaching? HI, I'm not too familiar with Google Plus but I think I started a conversation with you on July 2nd. Were you able to see it? I was asking about the Hair Coaching as well. ugh... i tried to write on your wall to no avail. not very google savvy. i am interested in hair coaching. I am interested and will try to add u to Google plus now once I figure out how to. I started doing your 9 day moisture retention therapy now. I'm on day 3 at the moment. I truly felt a difference in my hair on the first day. :-) Thanks a million! I would like to sign up for hair coaching..
Hi there. What exactly is the sauna method? Under the section about fungus click the purple link which says "your scalp and fungus" you will find solutions there. I would like to do the hair coaching, I very dry hair, and thinning edges, your help would be greatly appreciated. I would not use protein on top of the other protein. I would like to sign up also. April 8th and 9th are good dates to trim for increased growth. Subscribe to this blog and when I post the dates you will get a notification. Hi Vee..i have 4C tyoe hair....and my edges has thined ofer the years. My hair does not break anymore because i use Kerestase protien shampoo and the hair mask. however....my hair is thin and i hope you have advise to what i could use to thicken my hair. I am from south africa and my email adress is tesstoss59@gmail.com. Thank you i appreciate your effort in sharing.